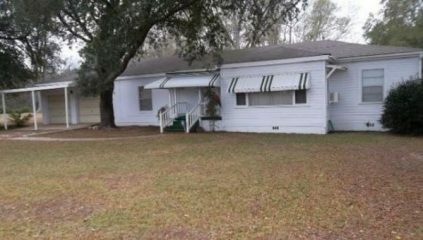 This property is conveniently located on Highway 43 across from Wal-Mart, Advanced Auto Parts, and the Hampton Inn Hotel. It sits on 1.68 acres and it's easy access into and out of this property is a bonus! The lot is deep and would accomodate additional structures if your business required them. Would make a great law office, antique shop, or gift boutique. Give Shawn Harrison a call to see this property for YOUR new business location!